Too much or not enough? Sunderland political rivals clash as panel recommends freezing councillors' allowances - but what do YOU think? 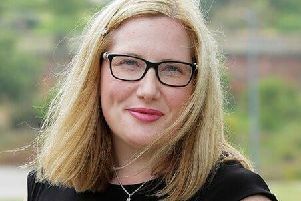 A political war of words has broken out following a recommendation to freeze allowances for councillors in Sunderland. A report from the Independent Remuneration Panel - which will be voted on by all 75 sitting members of Sunderland City Council on Wednesday night - says it "did not consider there was reason to recommend any change to the Allowances Scheme" for the 2019/20 financial year. If approved, it means the current basic allowance for councillors would remain at £8,369 per year. In additon, Special Responsibility Allowances are also paid to councillors who are cabinet members, deputy cabinet members, attend committees and boards, or those serving as Mayor or Deputy Mayor. Councillors would remain eligible to claim up to 45p per mile for car travel to and from meetings; and up to £10.59 for an evening meal and £8.55 for lunch. The city's Liberal Democrat group are urging councillors from all parties to ignore the panel recommendations and instead come up with a plan to cut allowances and expenses for the 2019/20 financial year. But Sunderland's Labour Group hit back, insisting allowances are set by an independent panel and that it is "absolutely right" that councillors are remunerated for costs and that it helps make "politics accessible to everyone." Coun Stephen O'Brien, who represents the Sandhill ward for the Lib Dems, said: "It would be quick, easy and the right thing to do to cut all councillor allowances and expenses across the board and to cap the number of 'special responsibility allowances' to no more than 25 to end the jobs for the boys mentality at the Council. "Made up posts like deputy cabinet members should be axed; and the Mayor and Deputy replaced with an unpaid Chair and Deputy Chair of the Council." But Coun Graeme Miller, leader of Sunderland City Council, said: "Sunderland Labour Group has never set expenses. Nor, in fact, has any other councillor in the chamber across the political spectrum. "That is something that is – quite rightly - done by an Independent Remuneration Panel, which stands free of any political party or agenda and does so based on what is reasonable and right. For the past six years, councillors’ expenses have remained static, which is – in fact – a real-term pay cut. "I value every single member that sits in the council chamber, as publicly elected representatives of their community, and I think it is absolutely right that party members are remunerated when incurring costs to do their job – costs of travel and subsistence. Ultimately, this is what makes politics accessible to everyone and not just the elite. We have students, single parents and retired professionals among our councillors who would not be able to represent the people in their wards were they not to receive a reasonable level of support via allowances. "Being a cabinet member is a job, and like all employers, we want the best people for that job. Elected members accept they will not receive a large wage for their work on behalf of the city of Sunderland, but they should at least expect a salary that reflects the importance of the role to help improve Sunderland and also the amount of hours they commit to it."